A good example of the type used for civilian carry. 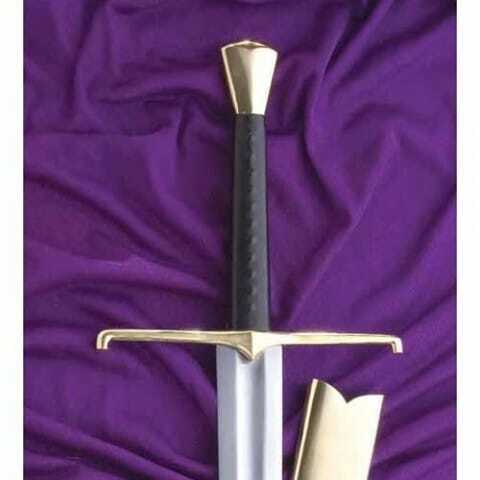 Lighter than the battle sword it excelled for cutting in un-armoured combat. The grip is long enough for two hand use with a row of studs under the fine leather fo a very firm hold. The pommel (type T2) and guard (style 8) are bright brass for easy care. High carbon steel blade tempered to a good spring. 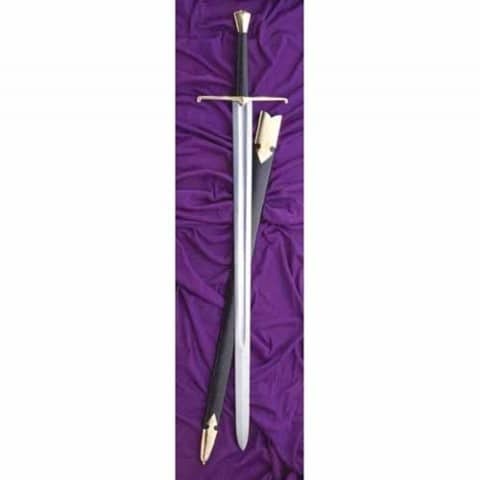 Comes with an leather scabbard with brass parts.